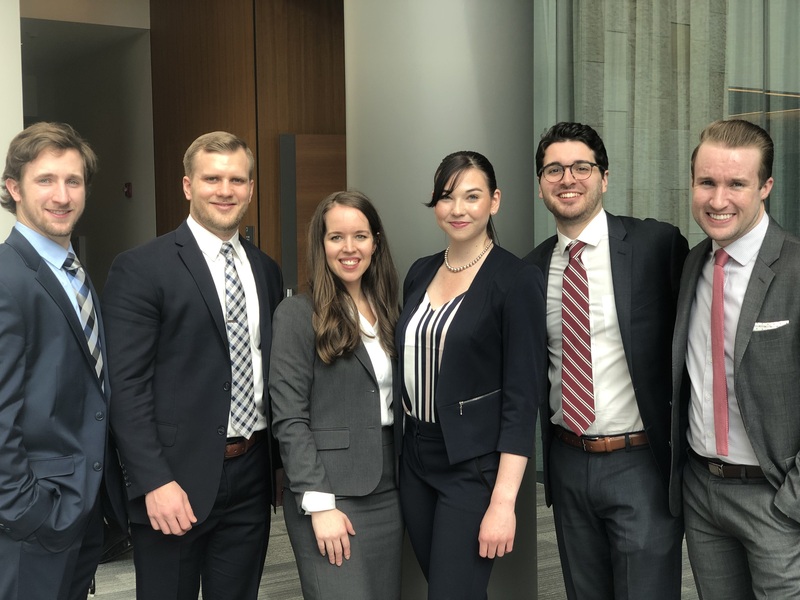 On March 29, Belmont Law sent two teams to Chicago to compete in the L. Edward Bryant, Jr. National Health Law Transactional Moot Court Competition. Belmont Law’s team of Hailey Janeway, Matt Byron and Clay Brewer placed 1st in the nation, defeating Houston in the final demonstration round. The team of Brandon Huber, Abigail Kunz and Dominic Rota also did well and were ranked fourth overall in the national competition. “I am so proud of our teams. It is such an honor to get to work with these students who have put in so much hard work and have shown such dedication to this competition. I have been amazed and impressed at their mastery of this very complex area of law,” said Professor & Director of Health Law Studies Deborah Farringer, who coached Belmont Law’s teams. The national championship team ranked above 20 other teams in the tournament, including teams from the University of Tennessee College of Law, Loyola University Chicago School of Law and the Shepard Broad College of Law at Nova Southeastern. Belmont Law offers a Health Law Certificate.